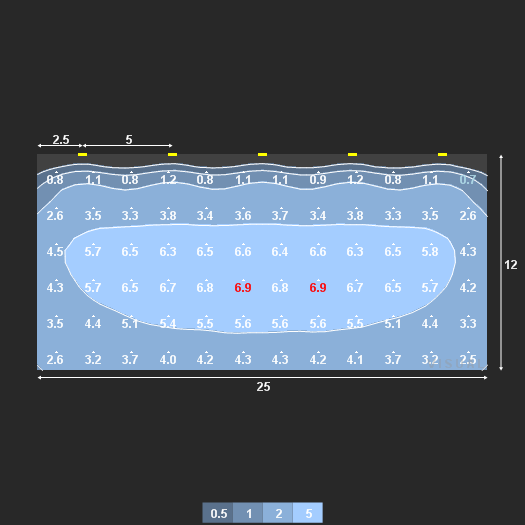 The Wallwash Tool can calculate the number of luminaires required to illuminate a surface based on your criteria. The tool can also be used to find the best tilt to meet your criteria. 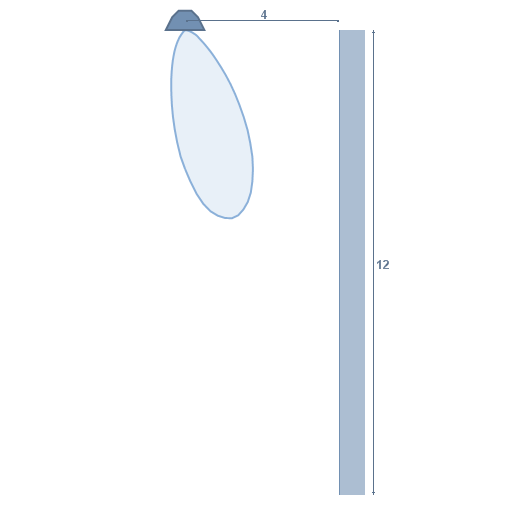 A typical scenario for using this tool would be using recessed wallwash luminaires to light an interior wall. 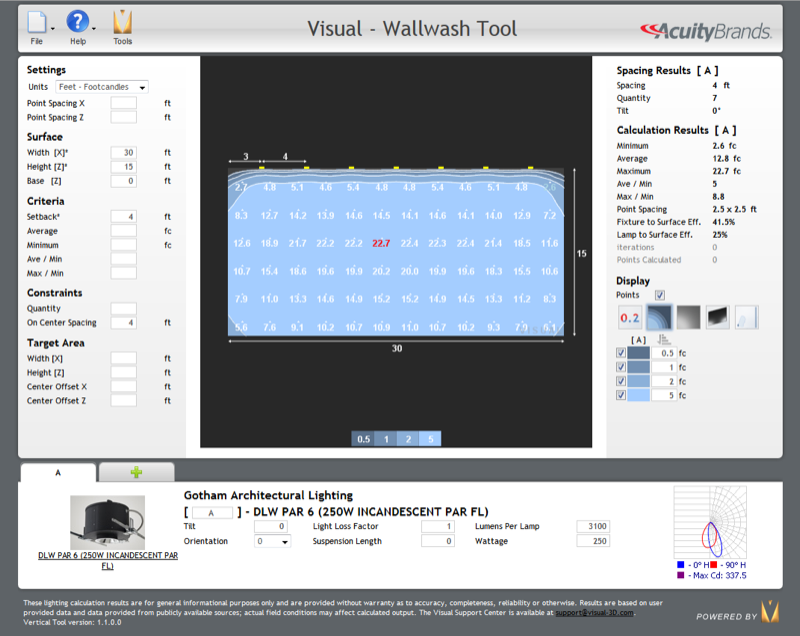 The Visual Wallwash tool was developed to help specifiers select flood, sign, and wall lighting products. The tool only considers the direct illumination component's effect on the wall. There are no other surfaces in the calculation that may exist and affect actual results in installations. 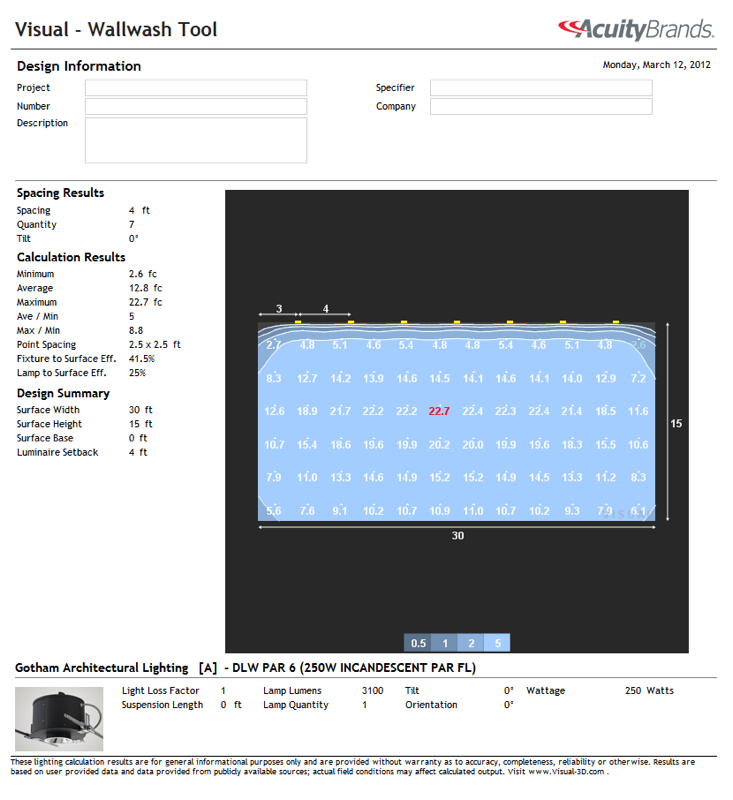 Please use the Visual Professional edition to perform detailed analysis for your lighting design. If you specify a tilt angle and illuminance criteria the tool will attempt to find an on center spacing that meets your criteria. It is possible for there to be no spacing that can meet your criteria at the specified setback and tilt. 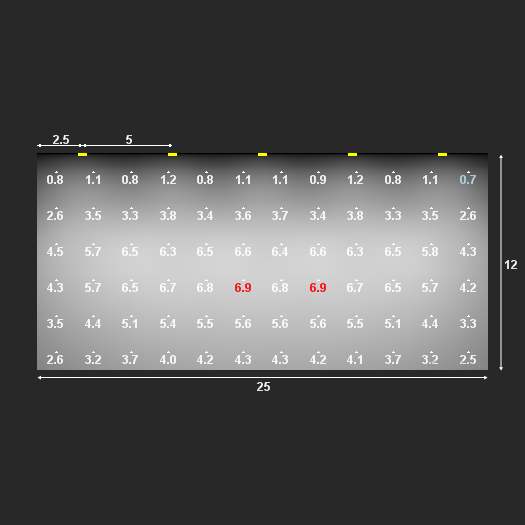 You may also leave the tilt field blank (not zero) and allow the tool to determine an optimum tilt for your criteria. The optimum tilt will change depending on which criteria you enter. It is possible that no tilt angle can meet all your criteria, in this case an aiming point 2/3 down the wall will be returned. 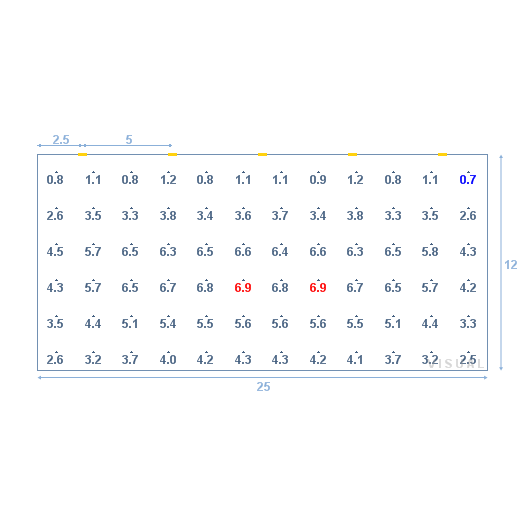 You may also constrain your design to a specific on center spacing or quantity. 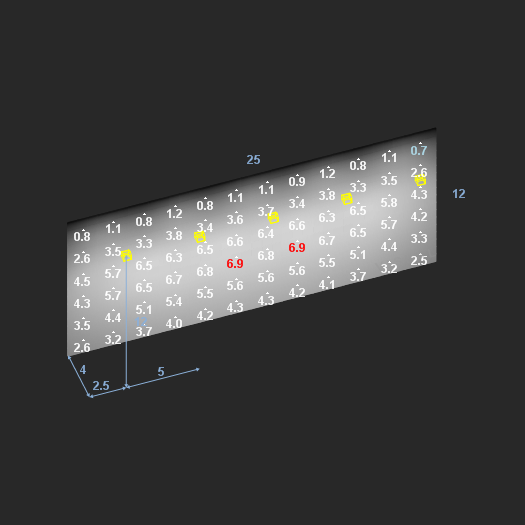 If you enter a value in both constraints the tool will not attempt to optimize based on any illuminance criteria, instead it will return your specified design.